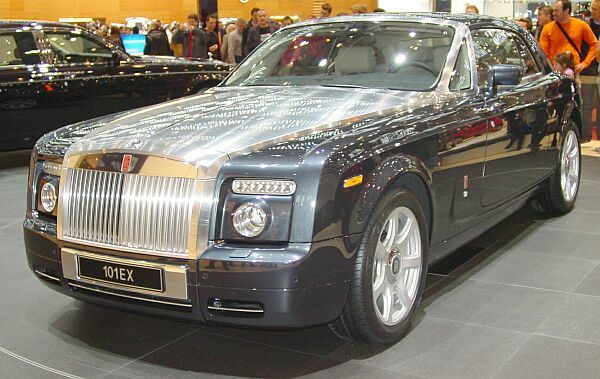 To celebrate the 100th birthday of Rolls-Royce, BMW allowed RR to present an extraordinary concept-car at the International Motor Show of Geneva, in 2004: the 100EX. 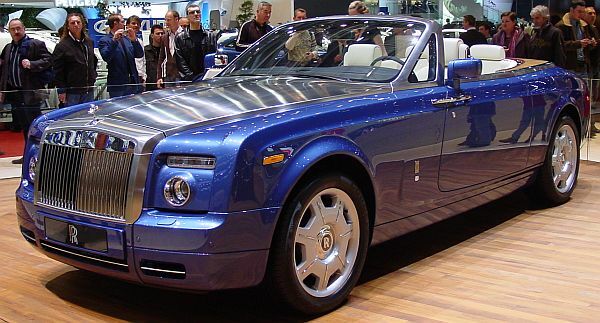 According the original brochure for that car, Rolls-Royce tried to design a motor yacht on wheels. and I saw supersportscars with less power! 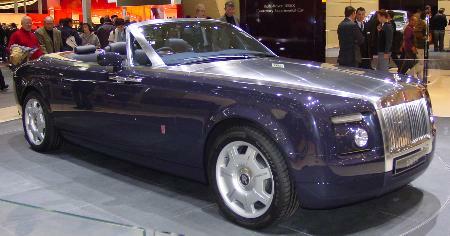 To show that the new crew, not at Crewe, but located at the new factory on Goodwood, is able to continue the RR standard of highest craftmanship, the front hood, and the frame of the windshield were made of a single piece of aluminium, each. The radiator mascot is made of pure silver. Have also a look at the rear-hinged doors. 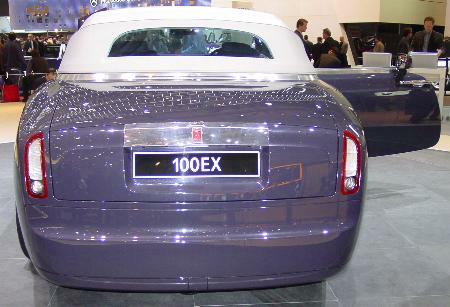 The 100EX is powered by a 9-liter V16 engine with 64 valves! The car has a 6-gear-automatic transmission. 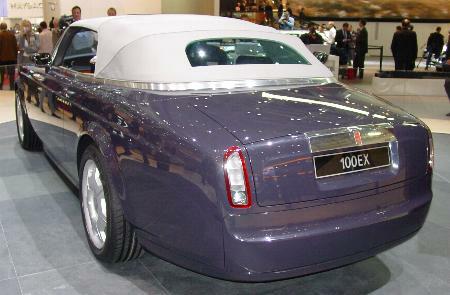 Rolls-Royce showed a V12 powered Coupé-version of the 100EX. The wheelbase was shortened, again. 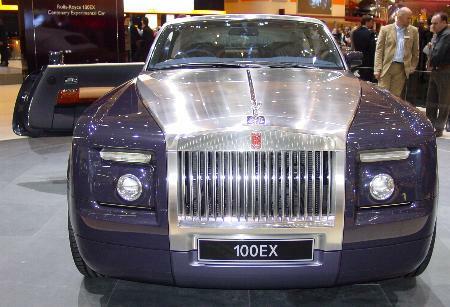 In 2007, Rolls-Royce presented the production model of the 100EX. Powered by the standard V12, instead of a V16 that powered the convertible-prototype. Dimensions are almost identical to the 101EX Coupé.